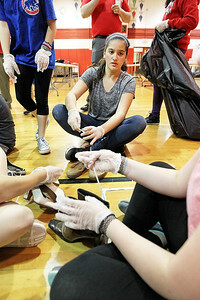 Candace H. Johnson-For Shaw Media Cassandra Moran, 12, of Fox Lake works with classmates attaching shoes together for recycling using zip ties for the Reuse-A-Shoe Program at Stanton Middle School in Fox Lake. 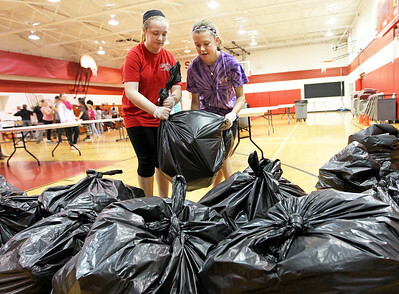 Candace H. Johnson-For Shaw Media Sixth grader Allison Fritz, 11, of Fox Lake prepares shoes to recycle for the Reuse-A-Shoe Program at Stanton Middle School in Fox Lake. 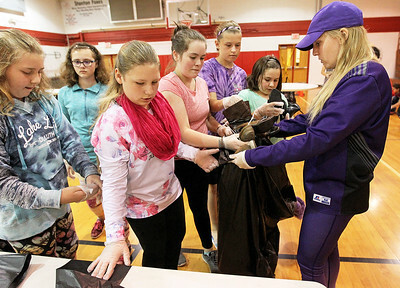 Candace H. Johnson-For Shaw Media Teacher's aide Kendra Wedl, (right) of Wauconda works with students as they place donated shoes into a bag for recycling for the Reuse-A-Shoe Program at Stanton Middle School in Fox Lake. 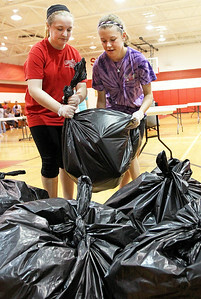 Candace H. Johnson-For Shaw Media Several pairs of shoes are put into a plastic bag for pick-up during the Reuse-A-Shoe Program at Stanton Middle School in Fox Lake. 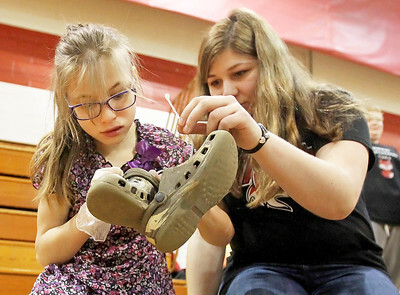 Candace H. Johnson-For Shaw Media Sixth grader Katie Pratt, 11, of Fox Lake gets some help from Liz Strba, special education teacher, to zip tie a pair of shoes to be recycled for the Reuse-A-Shoe Program at Stanton Middle School in Fox Lake. 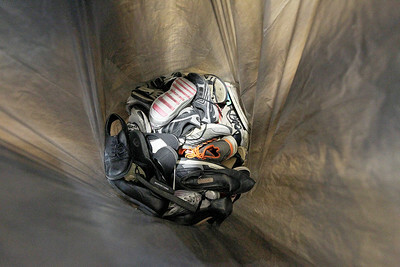 Candace H. Johnson-For Shaw Media Students put donated shoes into a plastic bag to recycle for the Reuse-A-Shoe Program at Stanton Middle School in Fox Lake. 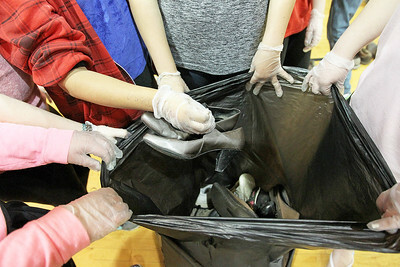 Students put donated shoes into a plastic bag to recycle for the Reuse-A-Shoe Program at Stanton Middle School in Fox Lake.